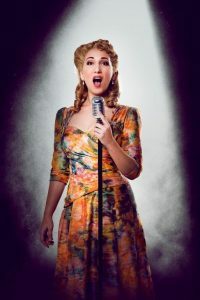 There can be little doubt that if you are personally chosen by Andrew Lloyd Webber and Hal Prince to play the iconic role of Eva Peron in what is to be the definitive 40th Anniversary Production of EVITA, you’re going to be special! From the first moments of opening her mouth to sing, the evidence is there in glorious warmth, passion and power. Notes so clear and pure that they could cut through you like ice one moment and break your heart the next. Emma Kingston is no fly-by-night wanna-be. She is the real thing! A star in the making and a force to be reckoned with. Audiences and local artists alike have a rare opportunity to experience first-hand the standard of craft that can be achieved when the arts are taken seriously as a career choice, and receive the necessary funding and support. At 16 Kingston got an agent and began auditioning for shows in London. “I realized I was a bit young, so decided to audition for Drama School to do a degree in acting and musical theatre. A big career highlight was getting to play Vanessa ‘In the Heights’ and have playwright Lin-Manuel Miranda come and watch our final show. To meet him was a very special moment. It would be a missed opportunity not to see this rising star tackling one of Andrew Lloyd Webber and Tim Rice’s most iconic and favourite scores. 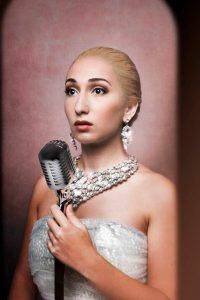 Catch her in EVITA on at the Teatro at Montecasino until 26 November and at Artscape until 7 January, before she heads off to conquer the world. 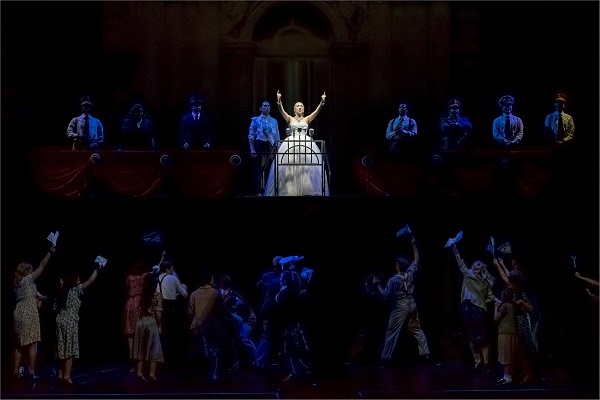 EVITA is “Simply Spectacular” Koeksusters, bobotie and reconciliation!